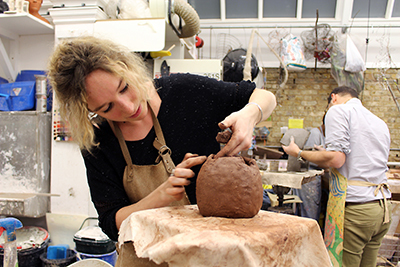 Find out about the Mary Ward Centre’s accredited and progression Visual Arts courses. A chance to talk to the tutors who deliver our classes, meet the students who attend them and see their work. Take a tour of the studios, hear the success stories from previous years and get advice about what you need to do to take the next step. Contact VisualArts@marywardcentre.ac.uk for more information or talk to your tutor about the progression options open to you at The Mary Ward Centre.